For a nothing less than incredibly stylish look, team a beige suit with a white short sleeve shirt. As for the shoes, choose a pair of Marsèll flat sole derby shoes. 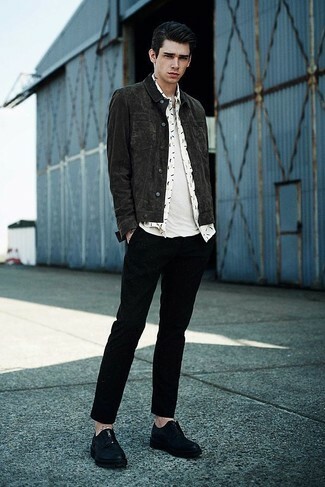 If you're after a casual yet stylish getup, dress in a charcoal denim jacket and black chinos. Both garments are totally comfortable and will look great together. 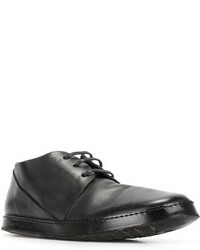 A pair of Marsèll flat sole derby shoes will bring a strong and masculine feel to any getup. Team a navy three piece suit with a white dress shirt for a sharp classy look. Want to go easy on the shoe front? Grab a pair of Marsèll flat sole derby shoes for the day. 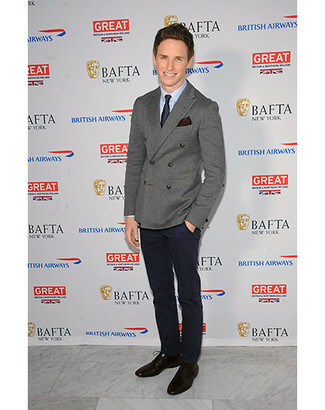 Wear a grey wool double breasted blazer and navy dress pants for a sharp, fashionable look. Take your look into a more casual direction with Marsèll flat sole derby shoes. No matter where you go over the course of the evening, you'll be stylishly prepared in a navy pea coat and navy dress pants. Take your ensemble into a sportier direction with Marsèll flat sole derby shoes. Wear a black suit and a white dress shirt for a classic and refined silhouette. 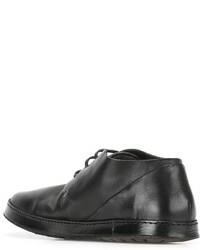 Grab a pair of black leather derby shoes for a more relaxed feel. 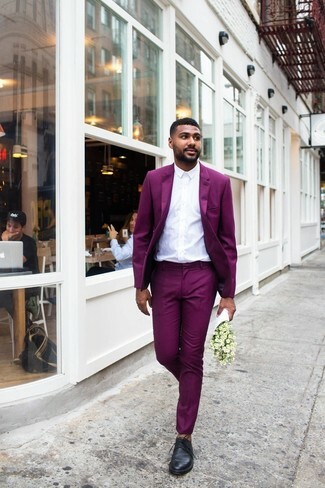 Make a purple suit and a white dress shirt your outfit choice to ooze class and sophistication. Make Marsèll flat sole derby shoes your footwear choice to make the ensemble current. If you're on the hunt for a casual yet on-trend look, consider wearing a red quilted shirt jacket and white chinos. Both pieces are totally comfortable and will look great paired together. 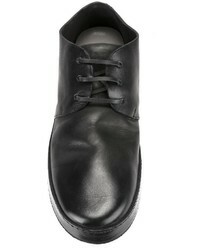 Take a classic approach with the footwear and go for a pair of Marsèll flat sole derby shoes from farfetch.com. For a nothing less than incredibly stylish ensemble, pair a charcoal wool blazer with grey dress pants. Marsèll flat sole derby shoes will deliver a more relaxed feel to your outfit.